I recently made a request of a volunteer photographer to take a picture of my great-grandmother's grave (located in another state) for the memorial page I created of her on my favorite cemetery website. 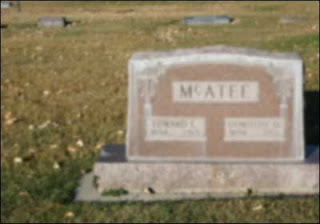 The photo was posted by the volunteer to the website, but unfortunately, it is somewhat blurry and off-center enough that part of the tombstone is cropped off. While I'm grateful for the efforts made by this volunteer, I am frustrated about the poor photo quality and I do not wish to display it on my memorial page. How do I sensitively suggest that this photograph is not adequate and I need something better? Is it rude of me to not simply accept the random act of kindness at face value? Ms. Genea-etiquette sympathizes with your plight, for she has had the misfortune of being the recipient of blurred, off-center, faded, under-sized, wrongly-formatted, and even incorrect photographs from volunteer photographers. One well-meaning picture-taker abrasively cleaned an ancestor's tombstone with metal gardening tools, which could be seen (along with clumps of weeds and clods of soil) in the periphery of the photograph! But take heart, dear reader--and all those who live far from their ancestral cemeteries--there are remedies for these delicate situations! 1. What, specifically, is your request? Do you want only the ancestor's tombstone photographed, or do you hope the volunteer will notice other family members buried nearby and photograph those graves, too? If it's an upright tombstone, do you need the back photographed? Do you need to know the lot, plot, or block number for your records? 2. Is there anything you do not want done? If the tombstone is covered with soil, grass, or is in some other way not very visible, do you wish the volunteer to take a photo as is, or to attempt to clear the face of it to obtain information from the inscription? If there are flowers on the grave, do you want them to appear in the photo? 3. If the volunteer does not state specifically that he or she is using a digital camera, you may wish to ask if the photo will be taken digitally or with film. Film, as you know, takes time to be developed, and with older cameras, there is no way to determine if the photograph will be clear and sharp until it is printed. The advantage of digital cameras is that they usually have a viewer so that the photographer can see at once whether or not the picture is acceptable. 4. Should you be making your request through Find A Grave's excellent photo volunteer service, be aware that after fulfilling the request, the volunteer will simply load up the photo to your ancestor's memorial page without checking with you first. This is not meant to be a thoughtless act. Find A Grave gives credit to each volunteer for the number of photographs they have claimed and fulfilled, and the only way to receive that credit is for the volunteer to submit the photo. Ms. Genea-etiquette has made a habit of gently requesting that any photographs taken of the ancestor's grave first be e-mailed to her for approval before being loaded to the memorial page. All that said, occasionally a misunderstanding or mistake does occur. The appropriate thing to do, of course, is to notify the volunteer immediately . . . and kindly. After all, she or he has taken time out of a busy schedule, driven some distance from home using astronomically-priced fuel, and made an effort to bless and assist you in your research. Ask for the volunteer to correct the mistake, and then be patient. It may take a while to undo. If this doesn't resolve the issue contact the administrator of the volunteer service for assistance, whether it is at Find A Grave, Random Acts of Genealogical Kindness, a USGenWeb county site, or some other organization. Remember that the world of genealogy has been built on the kindness and assistance of others, and it is only appropriate to proceed in like manner. Use your experience to help you become a better volunteer and photographer yourself, even if you are an amateur and do not have professional equipment. Check to make sure the photographs you take are angled correctly; centered properly; have no distractions in the foreground, periphery or background; are sharp and clear; and are taken of the correct grave! 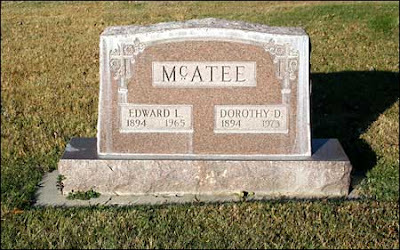 Ms. Genea-etiquette has found Maureen Taylor's "Tips on Photographing Tombstones" to be especially helpful. Ms. Genea-etiquette wishes Frustrated in Frisco all the best in her or his genealogical endeavors. Note: Photographs for demonstration purposes only and do not reflect the work of any particular volunteer. Wonderfully written Miriam! 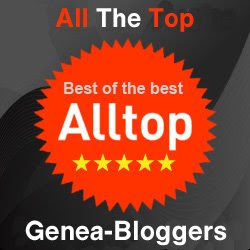 Your article was very thorough and it made me consider some things about genealogical volunteers that I had not thought about. Thank you! Great article! Bittersweet as I had the voice of George Carlin (may he rest in peace) in my head - you can imagine what his response would be. LOL. Seriously, it gave me food for thought as family members are going to a gathering in SC where some have agreed to take photos of headstones for me. Your first picture injected terror into my heart! So... some 'gentle' photog lessons are in order. BTW, 'Shades' just gets better and better! The other problem with volunteers is that a volunteer may not know the grave next to the one you want photographed is another ancestor, so that makes that type of volunteering hard.